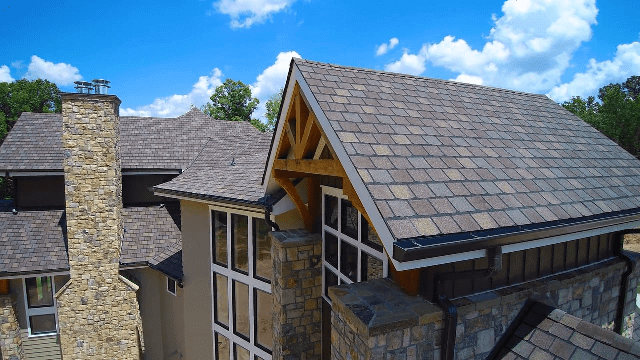 Whether you have a brand new roof installed or have decades-old one, adequate maintenance is imperative to keep it in top shape for many years to come. Improper care will result in total roof replacement or frequent repairs that’ll put a hole in your wallet. So, when you have made a significant investment on roofing, it is your responsibility to protect it. If you think this is not going to work just because your roof is many years old, you’re wrong. If you start today, it’ll add many years to your roof’s life. Here are few important maintenance tips suggested by the best roofing contractors in San Antonio. Disintegrated paint or a wet basement are some of the problems created by clogged gutters. When leaves pile up in the gutter, water can wick into the roof sheathing and even damage the roof rafters. Repairing it will cost you dollars, therefore make sure you inspect and clean the gutters often, specifically during the fall and spring seasons. Hiring a professional will be better than doing it yourself. If you have a peaked roof surrounded by low landscaping, you probably do not have to worry about fallen leaves. If there are tall trees nearby and your house features a different roof structure, chances are there might be plenty of leaves collected in roof valleys already. What happens when you don’t remove them? Moisture is trapped and accumulated in the roof, thus promoting the growth of weed. If you have a one-story house with a low-slope roof, pulling down the leaves is easy using a roof leaf rake. A leaf blower can do the job too. If your house is bigger, or you find it hard to get the dry leaves removed, hire a professional. Make sure you never use a pressure washer, as this will possibly trap water in there. A bit of tree-trimming can keep away leaves and moss from your roof, thus saving it from damage. Any abrasion from leaves and limbs might damage the shingles, especially during strong winds. Overhanging branches is also a way for rodents and other creatures to get into your roof. Make sure the branches are at least 10 feet away from your roof so that no pest infestation occurs. Roof flashing damage around the chimneys, skylights or others. If you find any problem with the roof, consult with a roofing service in San Antonio as soon as possible. Follow these tips mentioned above to make your roof long lasting, and to reduce the chances of frequent maintenance.